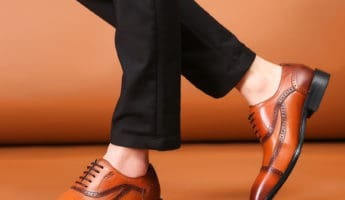 In a time when titans of industry are often seen kicking around in tee-shirts or mock turtlenecks and jeans, as more and more industries prize comfort and fluidity in a workplace over prim and proper clothing, it can be difficult to determine what constitutes “business casual” attire. 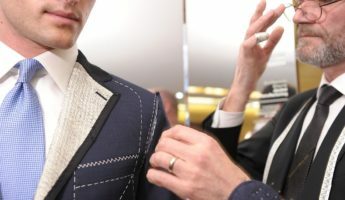 The result is men that are either over or under dressed trying to fit in to an environment where the rules change on a daily basis. 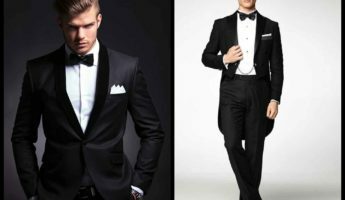 With all this fluctuation, it’s helpful to have a basic set of rules for what to consider business dress, and what is business casual. Though few of us know it, the notion of casual business wear is only about 30 years old. Prior to that, office workers were expected to wear a suit for any kind of corporate dealings. When playing sports, they were allowed to wear polo shirts and the like, but even then sport coats appeared for any activity that wasn’t high-octane enough to warrant breathability. Laborers who didn’t wear suits were expected to wear a uniform, often one that still had a collared shirt which buttoned up the front to give them a semi-professional appearance. 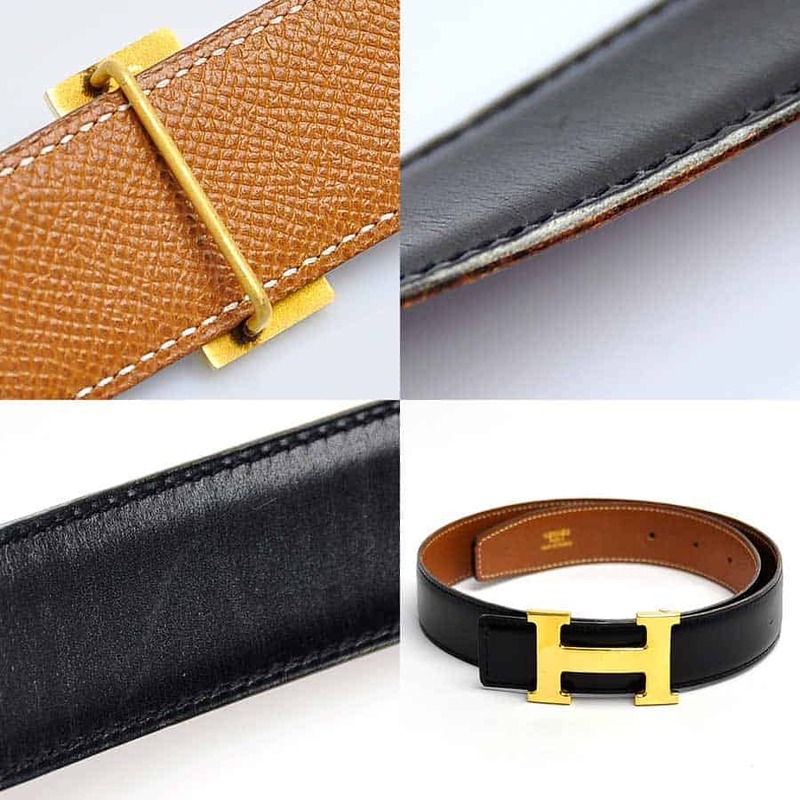 As with sporting wear, the purpose was to reach as high as possible on the aesthetic scale while still allowing a person to do their job. Then, the world began to change, and clothing changed with it. Starting with a company who produced Hawaiian shirts introducing “Aloha Fridays” to drum up more sales, “casual Friday” soon followed, wherein rather than suits, employees could dress down a single day out of the week. This began the battle between casual and business casual. Once the seal was broken, allowing workers to avoid wearing the customary suit and tie ensemble, the flood began. Workers began arriving to work in jeans, T-shirts, polo shirts, shorts, sandals, baseball caps, and whatever else they felt like. Managers began to worry that this trend would lead to a dropoff in productivity, since the common misconception was that a person dressed more formally would attend more adroitly to business operations. On the flip side, numbers rarely showed this to be true, as people tend to work better when they feel comfortable. While the top-tier executives wanted everyone dressed to the nines, they saw that the common worker was performing better while looking more slovenly. Around the late 1980’s and earlyl 1990’s, the Levis company offered a solution in the form of Khakis with their Dockers brand of pants. These mixed the lightweight chinos of sportsmen with a flair for business that wasn’t as restrictive as a suit, but wasn’t as sloppy as a pair of cutoffs. When paired with a tie or button-up shirt, pants of this kind found a home in the world between suits and that of weekend wear. 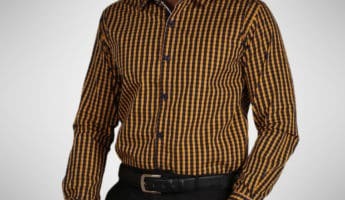 Other brands soon followed suit by crafting the looks we know today, such as polos and twill pants, jackets and jeans, or even plain T-shirts tucked under a casual coat with a pair of nice trousers or slacks. 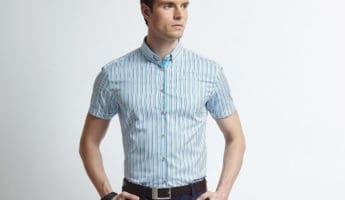 Many of the rules of the past still hold sway today, which is to say that khakis are usually the staple of the business casual world. They are the cornerstone from which all else flows. 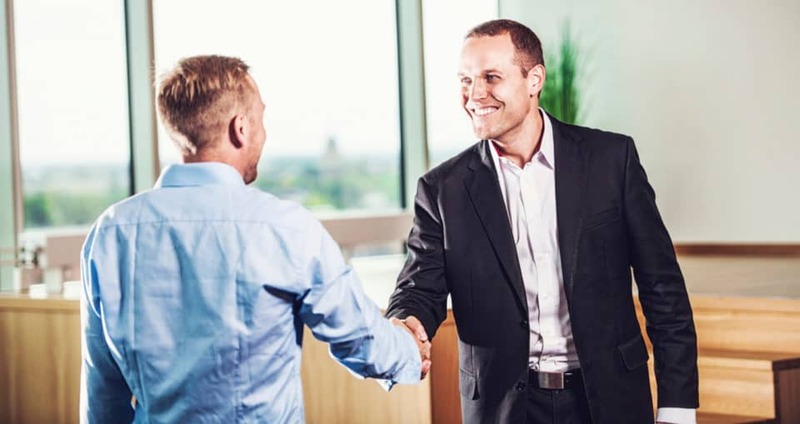 To better understand how business casual operates, here’s a few general rules that will get you close to business casual, though your company may have particular rules. While genius CEOs might favor a set of worn denim pants, you should never assume that jeans are acceptable as business casual attire. 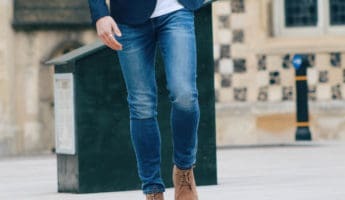 This includes black or white jeans, though either one can be acceptable, but still run the risk of showing disrespect to your clients, your boss, or your business. 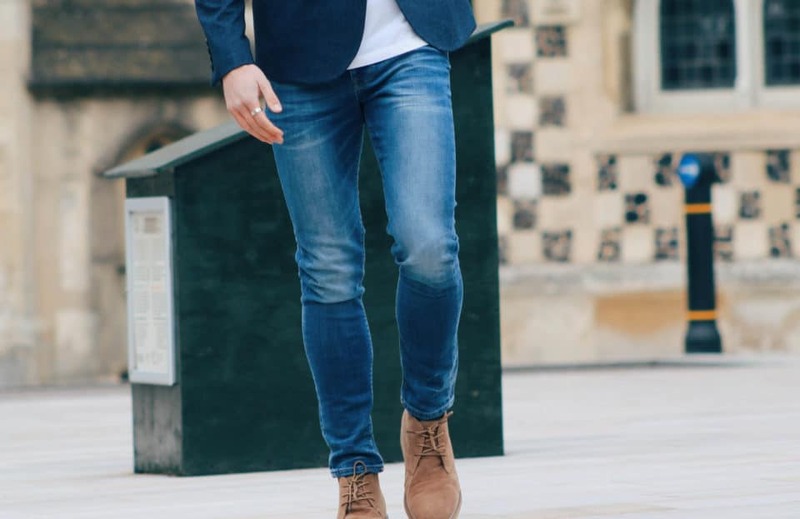 The best thing to do is to get a pair of twill pants or chinos in place of jeans, as they bear much of the same comfort and durability while looking less like you’re about to head off to a barn dance. When considering your clothing options, let long pants and long sleeves help guide you. The more skin you’re showing as a guy, the more sporty your attire is considered. Having pants and shirt that breathe is fine, but you’ll generally want to avoid short sleeves and pants that don’t reach your shoes. 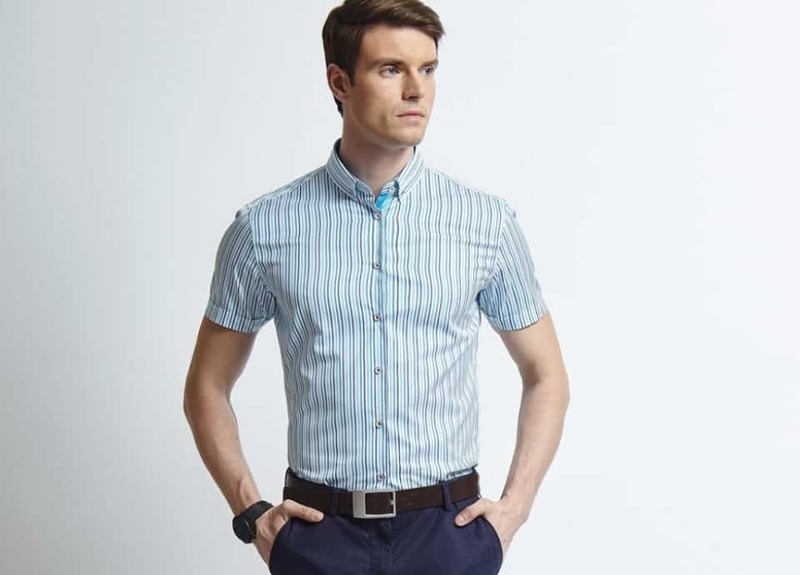 We likewise advise heavily against button-up shirts that have short sleeves, even those they can pass muster. They’re too tacky for wearing in an office and don’t look as good as a long-sleeve polo that’s tucked in or a long-sleeved tee tossed on under a jacket. 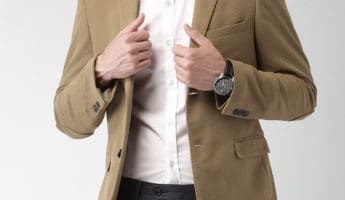 Sport coats, blazers, and orphaned suit jackets are all a quick way to turn an ordinary outfit into one that will get by the business casual sniff test. No matter how casual the jacket is, it shows that you took extra effort in your appearance. It won’t compensate for wearing shorts, but can make a basic T-shirt seem much more professional, so long as it doesn’t have any designs, logos, or “hilarious” sayings on it. You’re not going to get away with that unless you’re Dr. House, and sadly, you aren’t. Adding a pocket square can further move your jacket into the business arena and prove that you’re enhancing your outfit. Just make sure it mixes well with the other colors you’re wearing, or it’s going to make you look like a clown about to do a terrible never ending scarf trick. Another quick way to take a plain button-up shirt to the next level is to give it a natty tie. Make sure you get the length right if you can, but in the case of business casual dress, you can wear a novelty tie that doesn’t fit quite as well. It’s just going to knock you down a few style points, and isn’t good for more serious meetings. 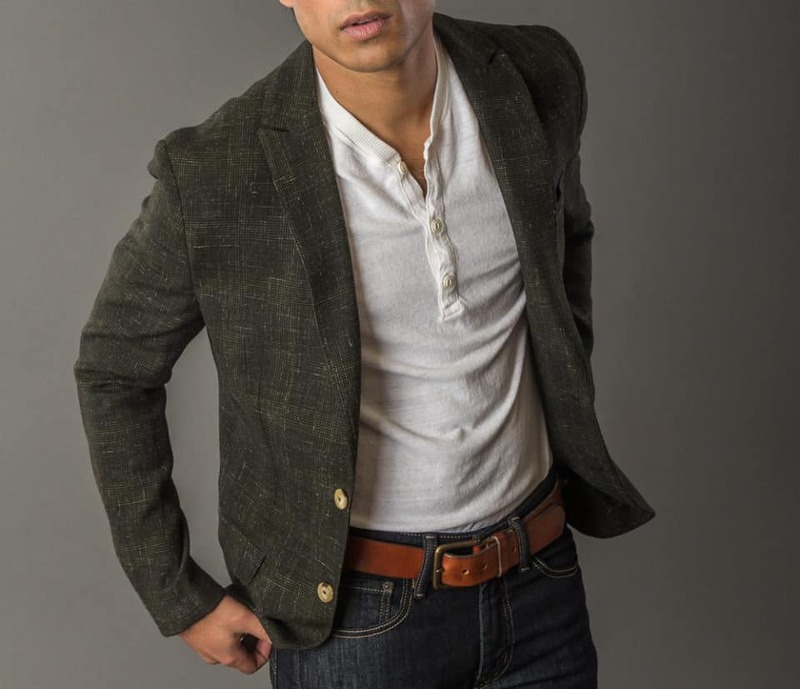 When donning business casual wear, knit ties or those with square bottoms shows a respectful kind of casualness that’s perfect for this look. 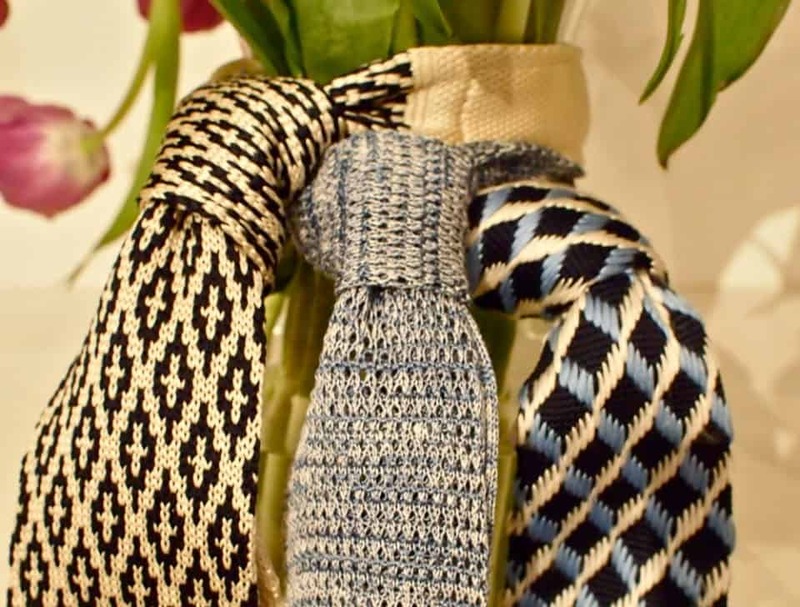 Don’t be afraid to go with a cravat or an ascot, as these are relaxed tie variants that can add fashion to your wardrobe without looking too formal. 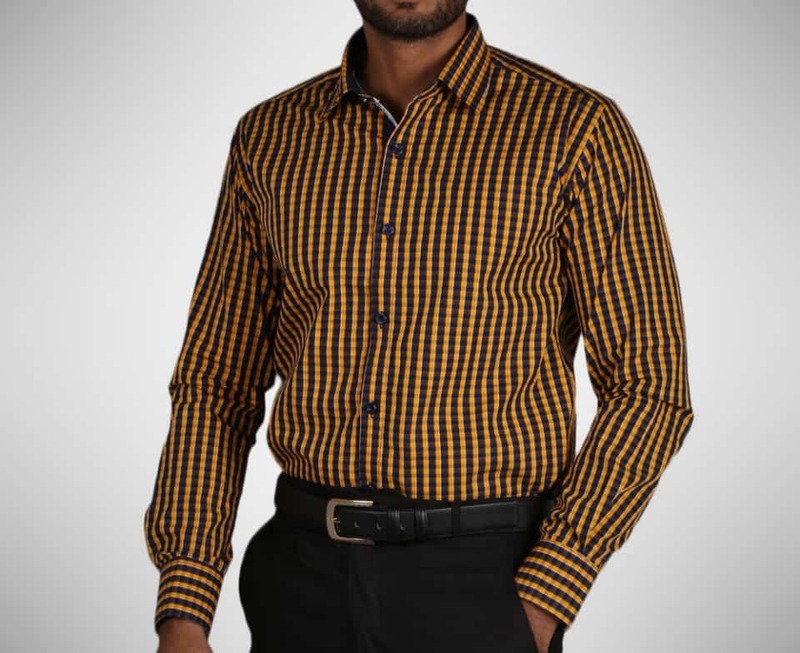 A basic Oxford shirt that is tucked in is perfect for business casual dress. You can opt to leave the top button undone, but never leave the tails hanging out of your pants. Since your shirt should always be tucked in during business casual hours, you must have a belt. Any pants without belt loops are too casual for working hours. 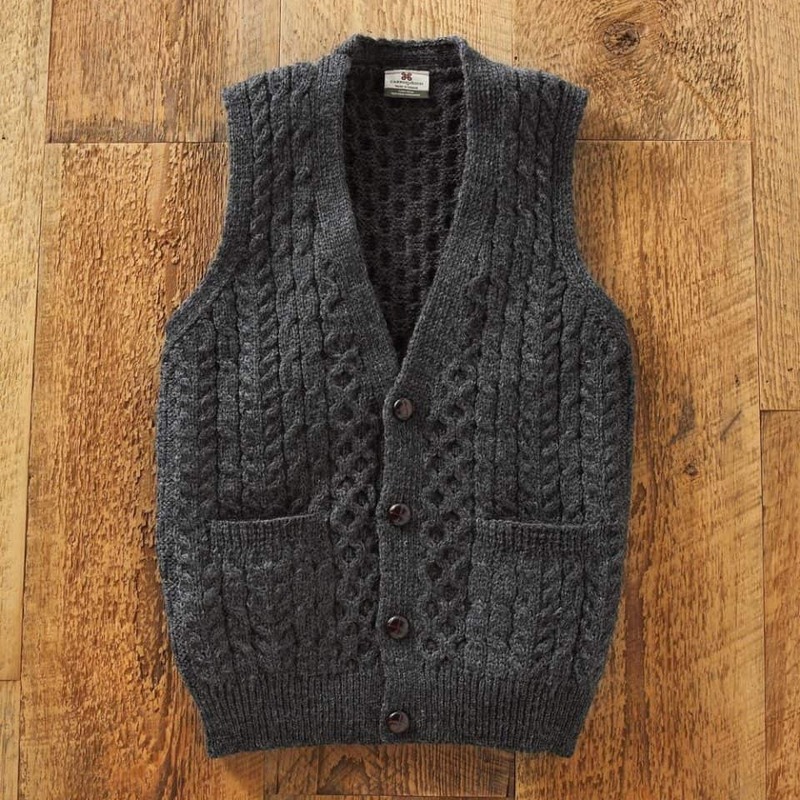 Vests are a nice way to tone down a suit for business casual dressing, and are much appreciated if you’re also going without a tie, since they show an intentional arrangement of your clothes, which speaks more highly of you. Likewise, wearing a vest with just a shirt and tie, sans jacket, can add a note of formality, though it can be a hard look to pull off. 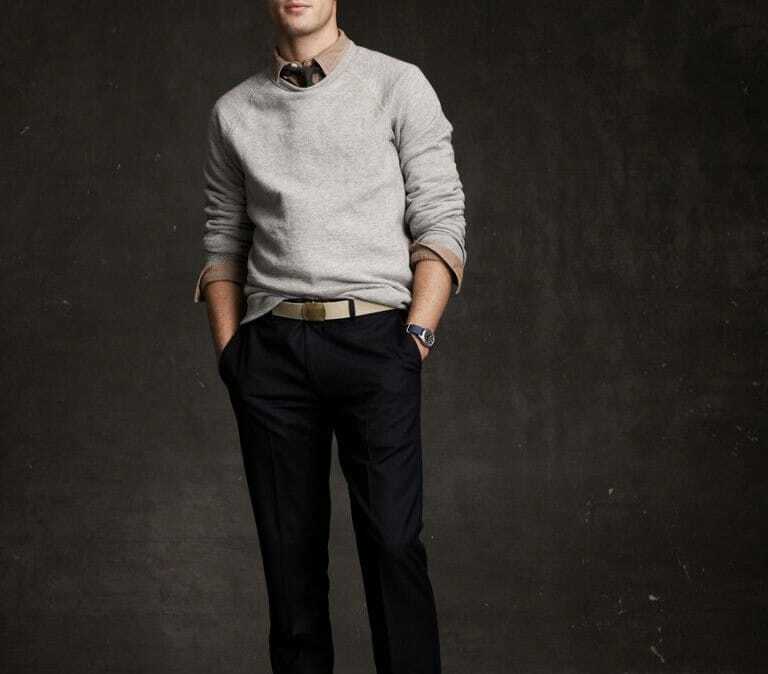 Sweaters should be clean pullovers and are best when either fitted or worn with a tie. Cardigans or anything that buttons in the front is more for casual wear, though can be used on a case-by-case basis. Merely be wary of looking like you’re about to smoke a pipe on the patio rather than do your job. 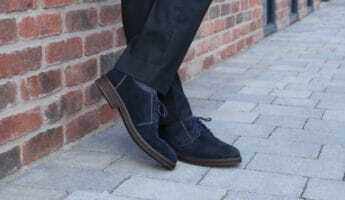 Dress shoes are best for going business casual, and you should always have dark socks. 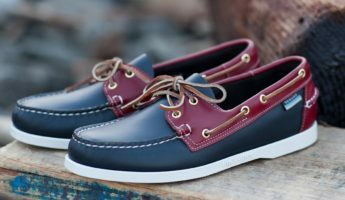 In many instances, the right kind of boat shoes or loafers can work, but be careful walking that line. 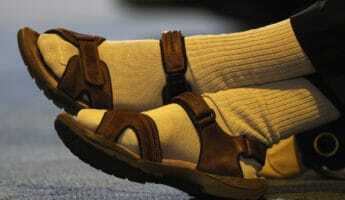 At no time should you opt to go sockless, and never wear sandals or anything that shows your toes.